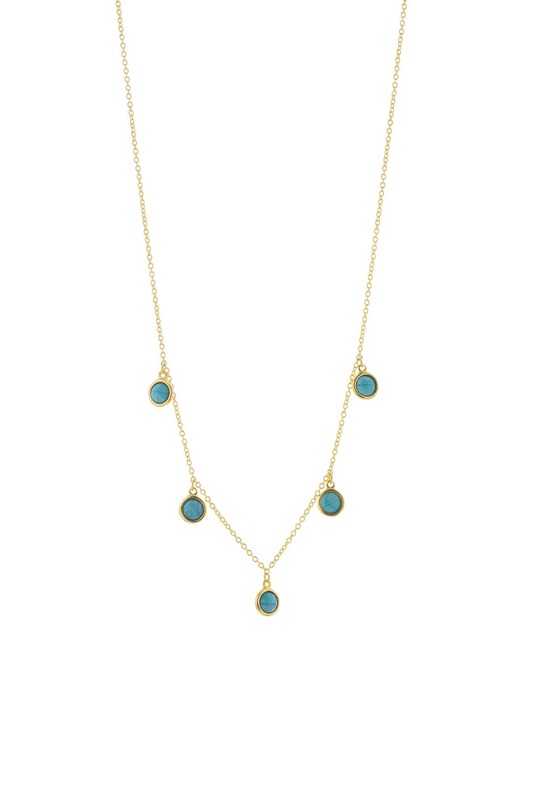 Dangling gems accent this delicate Gorjana necklace that's looks good layered or on its own. 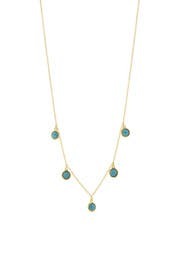 18K gold plated necklace with turquoise stone accents. Lobster clasp closure. 20" long.